“We started asking, ‘What can we do together that none of us can do alone? 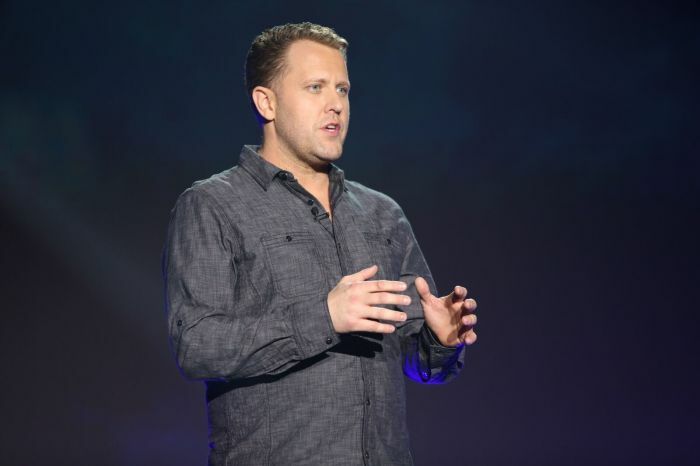 Is there a way, instead of being soloists, that we can become a symphony?” Christian filmmaker Jon Erwin told an audience at the National Religious Broadcasters' convention Wednesday. “The more we asked it, the more the question became a dream, and the more we asked it, the more we went out and recruited some talent and some people we were dying to work with, the more that dream became a reality — we could see it and taste it. That’s why today, we’re here to launch that dream. We're not here to launch a movie. We're here to launch a movie studio," he continued. 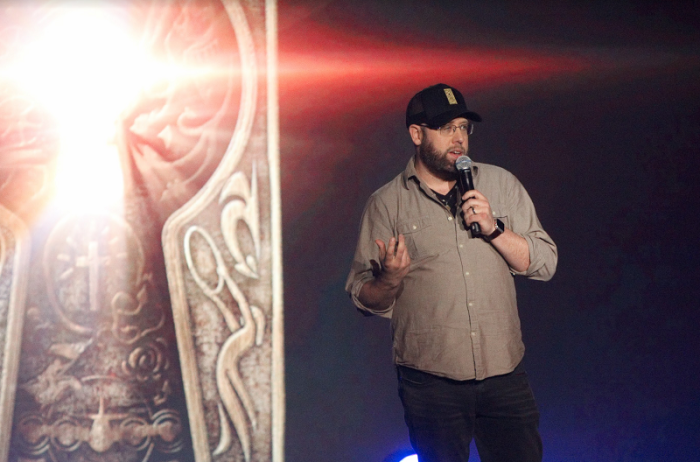 Jon Erwin revealed that the unprecedented venture, titled Kingdom Studios, will release two theatrical films each year — all with the stated aim of being entertaining, safe, and uplifting for viewers. “If this logo is on it, you can trust it,” he added. “I Still Believe” follows the story of award-winning singer Jeremy Camp, whose wife, Melissa died of ovarian cancer less than a year after they married. 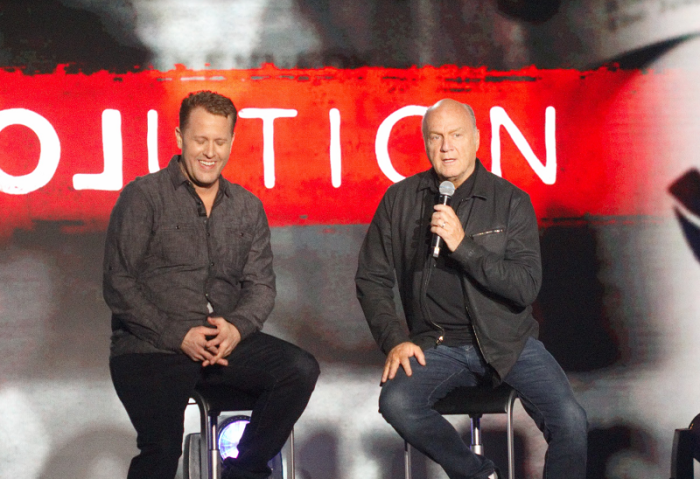 Produced by Harvest Christian Fellowship Pastor Greg Laurie, and written by Jon Erwin and “Case for Christ” director Jon Gunn, “Jesus Revolution” tells the true story of the “Jesus Movement” of the 1970s and its origins in Southern California. During the conference, Erwin brought Laurie on the stage to share his own experience with the movement. “Apostles: Resurrection of Christ” will be a trilogy of films inspired from the New Testament, written by Jon Erwin and Jon Gunn and directed by the Erwin Brothers with Downes producing. “Here’s our promise to you guys: We're going to make these films with the foundation being the absolute truth of Scripture and with the budgets that you would want to see in Hollywood films that the Bible so absolutely deserves,” said Downes. The final feature Kingdom Studios announced is a period musical, "The Drummer Boy," which is being produced in association with the faith-based musical duo for King & Country. The project is in the early stages of development and will be written and directed by Joel and Luke Smallbone and produced by Downes and the Erwin brothers. “We’re gonna unleash some talent, and the films that are going to be made are extraordinary,” said Jon Erwin. The Erwin brothers' 2018 film “I Can Only Imagine” grossed $85 million worldwide against a production budget of $7 million, becoming the fourth highest-grossing music biopic of all-time in the United States. Still, the brothers admitted that they will inevitably experience “growing pains” associated with managing the tasks ahead.